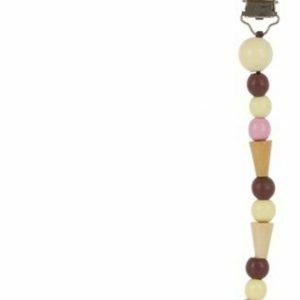 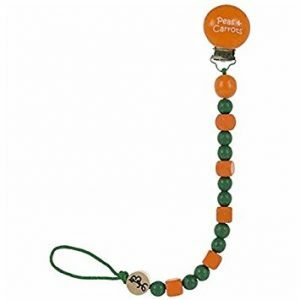 Wood beads on this pacifier clip were designed in the style of the nostalgic candy that has been popular for generations. 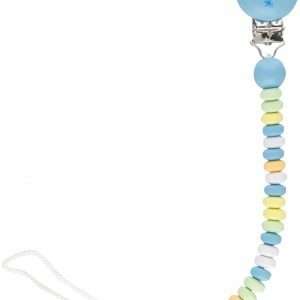 I Love Cupcake Bink Link Pacifier Attacher by Fruitabees. 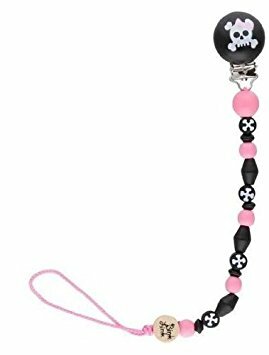 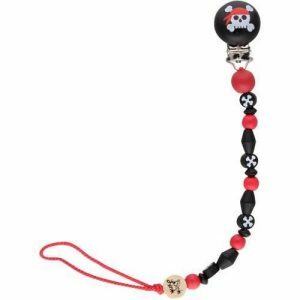 Our Gilbert pacifier clip includes a fun skull and crossbones with a red bandanna… perfect for the little one with attitude. 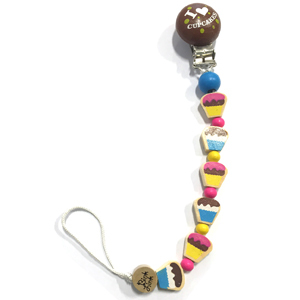 Wood beads are styled after the 2 (or 3) scoop ice cream treat. 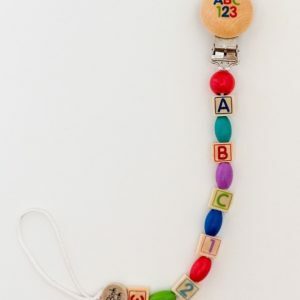 Wood beads on this pacifier clip are red, black, and natural with a ladybug crawling off the natural beads. 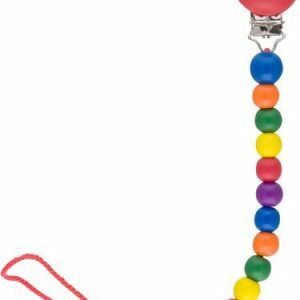 Pink gumballs are some of our favorites.